Whether you’re off to the movies, going to a concert with friends, or heading to a sports games, there are so many options when it comes to entertainment. How you spend your time is important, so we’re sharing 5 reasons why attending a ballet show in Arizona should be on the top of your list. Live performance encourages you to live in the moment. In today’s technologically overloaded world, it’s important to take a break from the screens that steal most of our daily attention. Attending a live performance encourages spectators to put down their phones and actually live in the moment, something that is becoming quite rare nowadays. It gives you a reason to dress up! Let’s be honest. Who doesn’t feel their best when they’re all dressed up? Getting ready for the ballet is part of the fun! Although there is no actual dress code, theatre patrons traditionally dress in semi-formal to formal evening attire and we encourage our guests to dress up as it brings the whole experience together. Not into dressing up in formal attire? That’s okay too. We suggest opting for one of our matinee performances! The important thing to remember is be yourself! We want you to come as you are and enjoy the performance. Have you ever heard of kinesthetic empathy? It’s a term commonly used in Dance Movement Therapy (DMT). It essentially means that as a spectator of dance, one can feel the movements and emotions of the performer within themselves without actually doing anything physically. Research has shown that this allows you to practice becoming more empathetic. Next time you attend a ballet show, try to feel the dancer’s movement within yourself. It’s indeed a powerful experience! Ballet performances have incredible music. Not only will you be able to witness flawless choreography, artistry, and athleticism, but the incredible scores that accompany them will take your experience to the next level. Whether it’s a Tchaikovsky suite or a contemporary work by Philip Glass, there is something for everyone. We’ve provided the soundtrack to our upcoming performance, New Moves, for you to listen to before the show…sample it here! You know the feeling when you leave the movie theater after a really good film? Take that and multiply it by ten. That’s how you’ll feel after seeing a live performance by Ballet Arizona. It’s an indescribable feeling that rejuvenates and inspires your soul. Attending a ballet performance is a magical event. 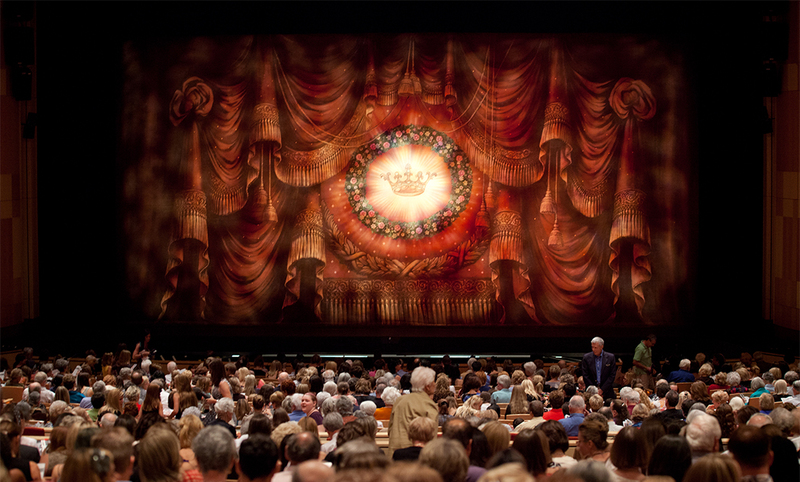 In our opinion, everyone should experience it at least once in their lifetime, especially if they appreciate the arts. Take the next step by browsing Ballet Arizona’s list of upcoming shows, click here to learn more.